Home Editorial Natural Resources – Pathway To Development Or Fragility? 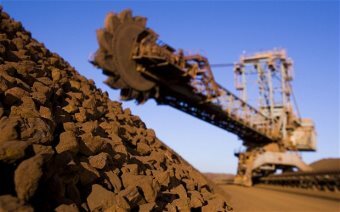 AFRICANGLOBE – Trade and investment in natural mineral resources hold great potential for boosting growth and prosperity in the developing world. Too often though, misguided or illicit exploitation of these resources has contributed, directly or indirectly, to armed conflict, human rights violations, crime and corruption, and/or international terrorism, thereby impeding economic and social development. The story of “blood diamonds” is familiar to many, but there are many other minerals that contribute to conflict across the continent. Recent history is littered with examples of resource-rich countries being plunged into economic turmoil by the arrival of big oil and mining companies. Can the lessons learned, and a changing approach from the private sector, help countries like Liberia avoid the same fate? In September 2011, iron ore mining officially recommenced in Liberia for the first time in over twenty years, with the opening of ArcelorMittal’s mine at Yekepa. The mine is expected to produce some 4 million tons of ore a year and provide vital income for a country that is gradually recovering from years of civil war. All too often, instead of delivering growth, the arrival of big oil or mining companies in the developing world has led instead to a complex range of problems: soaring currency which renders non-mineral exports less competitive, a talent drain into the mining sector and increased corruption, to name but a few. What’s more, expectations of the revenue that will come from taxation have often proved over-optimistic, leading to excessive expenditure, exacerbated by volatile commodity prices that ruin long-term planning and forecasting. Mining companies are well aware of this, and no large-scale investment today comes without a range of promises and programmes to support the local community. Some of the most effective of these focus on providing opportunities for local companies and people in supporting the mine operations. Large mines and oil wells need a vast range of services from catering to transport to recruitment: if these can be delivered by local companies, the wider economy and community benefit. Efforts are underway in Liberia to this end. ArcelorMittal is one of a number of mining companies that has joined a Corporate Responsibility Forum, initially devised and funded by the Deutscheesellschaftfür Internationale Zusammenarbeit (GIZ). The forum brings together the private sector and the government and central bank, and one of its aims is to coordinate corporate initiatives and facilitate public private partnerships. But as well as working more closely with the mining companies once they arrive, governments too have an opportunity here to set requirements in the initial negotiations to grant concessions. And despite the size and sway of the mining sector, there’s a growing willingness in West Africa to do just that. Guinea has recently introduced a new mining code that requires foreign companies to invest a minimum of $1 billion in any mining project, and gives the government a free 15% share in mining operations with the option of buying a further 20%. Liberia itself renegotiated the contract ArcelorMittal signed in 2005. The incoming government significantly increased the amount that ArcelorMittal would be required to invest in the country’s infrastructure, and ensured that the rebuilt railway line linking the mine to the port city of Buchanan – and port operations themselves – would remain in state ownership. It also secured a higher windfall payment. Liberia’s leaders were assisted in the negotiations by volunteers from the International Senior Lawyers Project – a perfect example of how the skills of the wider international community can also influence the involvement of big business in development. But of course, renegotiation slowed things down: it took six years from the initial signing of the contract before any iron was shipped from the mine – and it will be longer still before the tax revenues come in. Both Haglund and Chester point here to the importance of the Extractive Industries Transparency Initiative (EITI), under which Liberia was the first African country to achieve accreditation. Funded via a partnership of governments, NGOs and the private sector, the EITI demands increased scrutiny not only of the mining companies’ operations but also the payments they make to government – protecting against corruption at all levels. To maintain compliance, there must be regular monitoring of productivity of the different mines and commodity prices, in itself a valuable process – and one which brings together government, the mining companies and the development community on an ongoing basis. The willingness to embrace the EITI is emblematic of a growing public commitment from the mining industry and the development world alike to ensuring that natural resource extraction delivers benefits to the countries where it takes place. The future experiences of Liberia will show just how effective these efforts are.